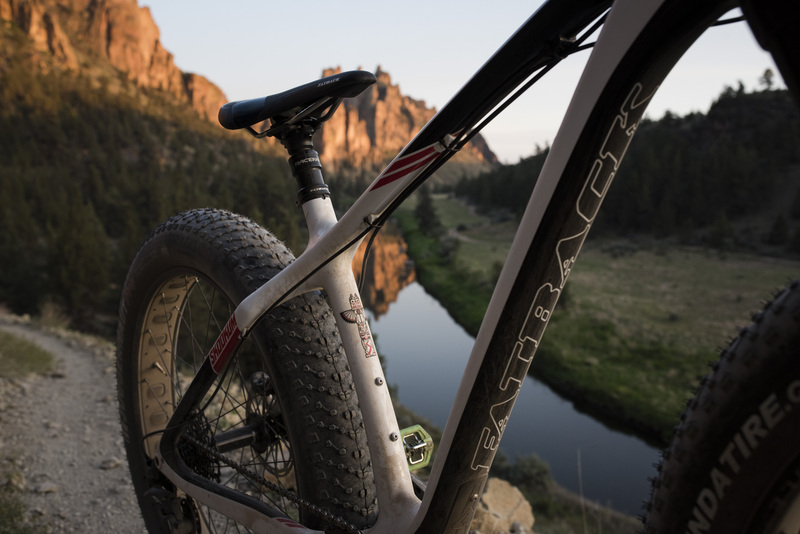 Riding on the success of their carbon program with the Corvus, the boys over at Fatback were looking to add to their growing arsenal of all-terrain fat bikes. 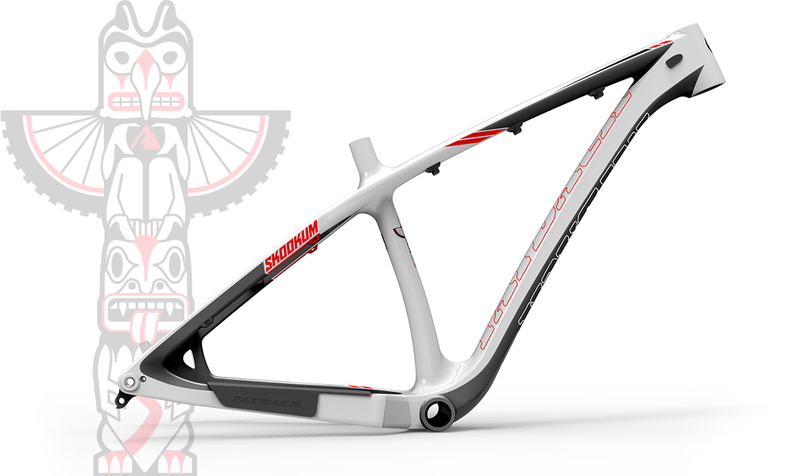 Enter the Skookum. 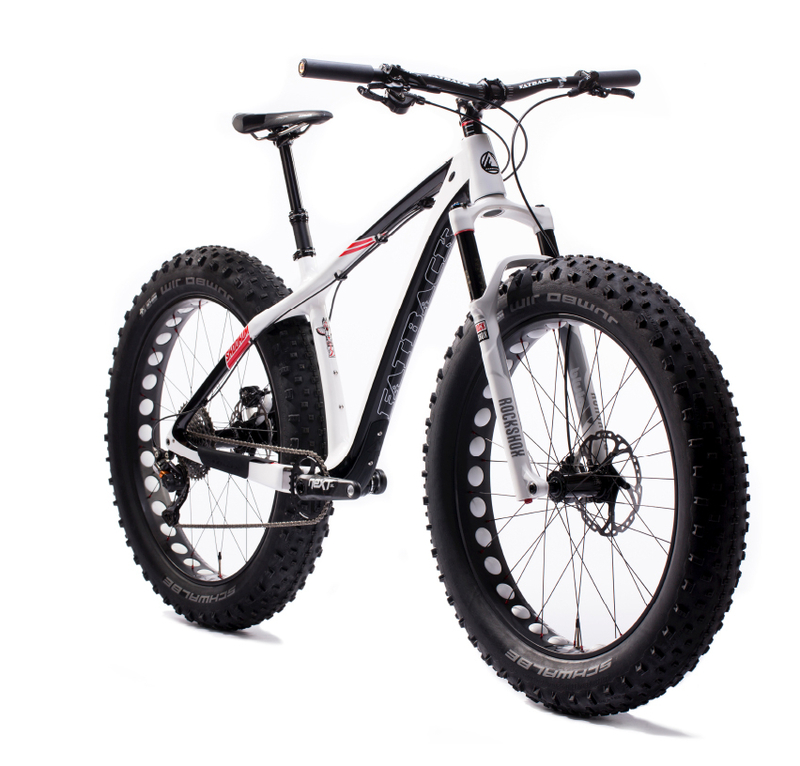 The concept behind the Skookum was to take the handling characteristics of our favorite mountain bikes combined with the capabilities of plus size tires to create a bike that can be ridden all day, in any terrain. 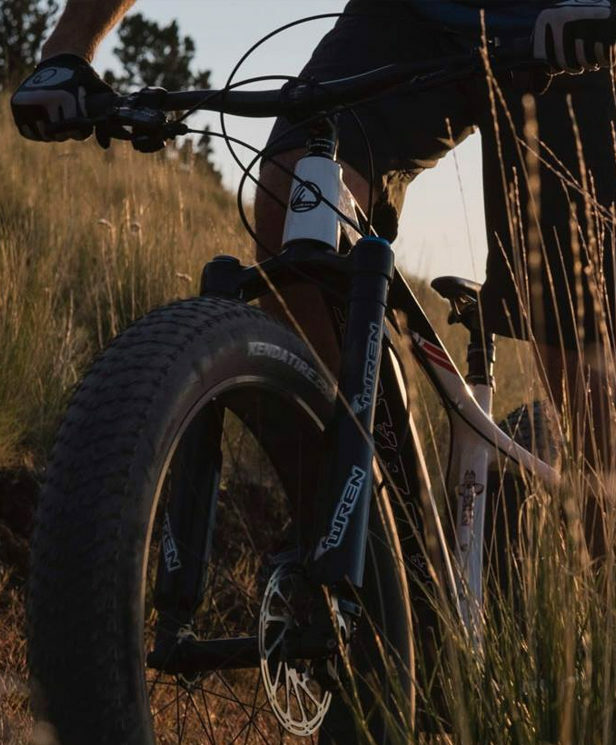 Featuring 440mm chainstays and a 68.5 degree head tube angle that is built around the 120mm RockShox Bluto fork, the geometry of this frame was designed to keep the bike nimble and the rider comfortable while they are ripping it. 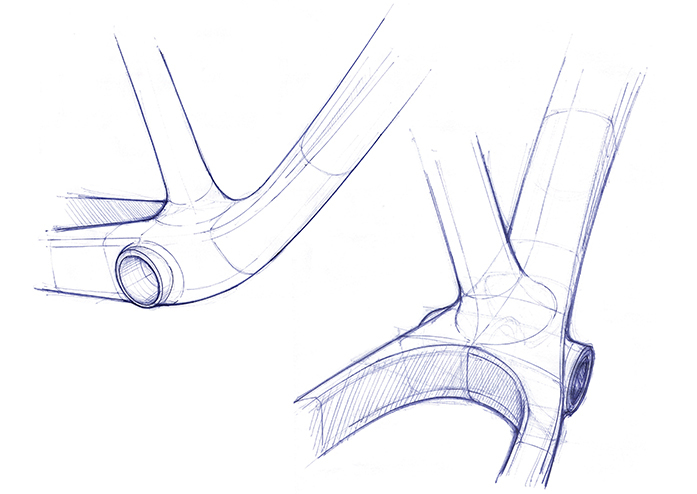 Additional frame features include 197mm rear hub spacing, internal routing for a dropper post, molded armor for the down tube and chainstay, and has the flexibility to run multiple drivetrain and wheel size options. 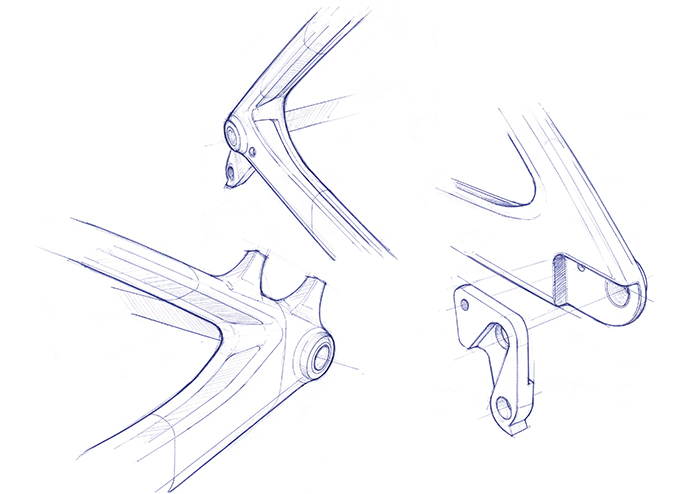 Our designers worked with Fatback’s in-house team to develop the initial geometry and define the desired ride qualities of the new frame. 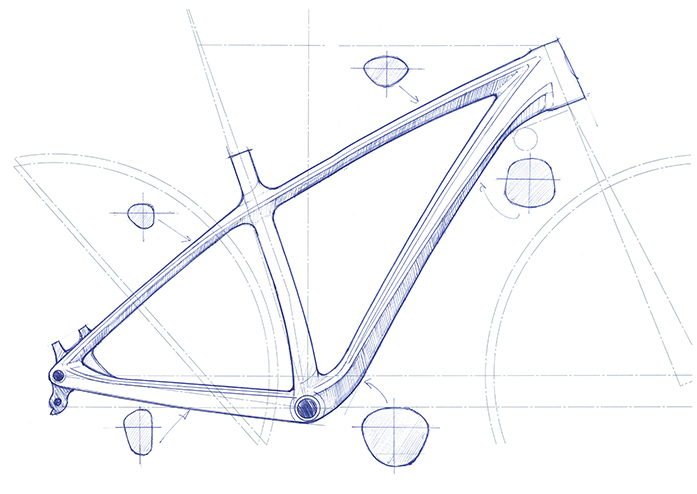 Humid provided all of the initial concept designs, color schemes, frame graphics, and final CAD models prior to production. 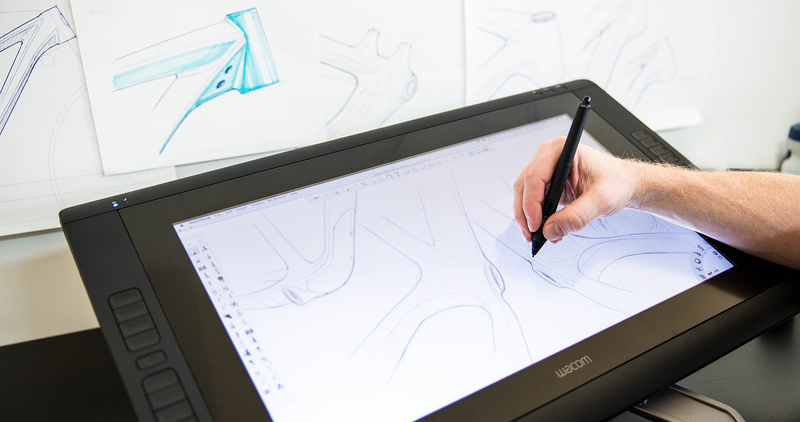 Working closely with their oversees manufacturer throughout the production process was key in preserving the integrity of the design across multiple frame sizes.